Price: £2.49 (incl VAT) Sorry, this product is no longer available. Please note that this product has been discontinued by the manufacturer. 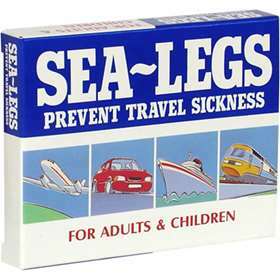 Please Note: This product had been out of stock for some time, although available again, we suggest Traveleeze Travel Sickness Pastilles as a suitable alternative if this happens again. It has the same active ingredient at the same strength. Product code: SEA76Y Price: £2.49 (incl VAT) Sorry, this product is no longer available.